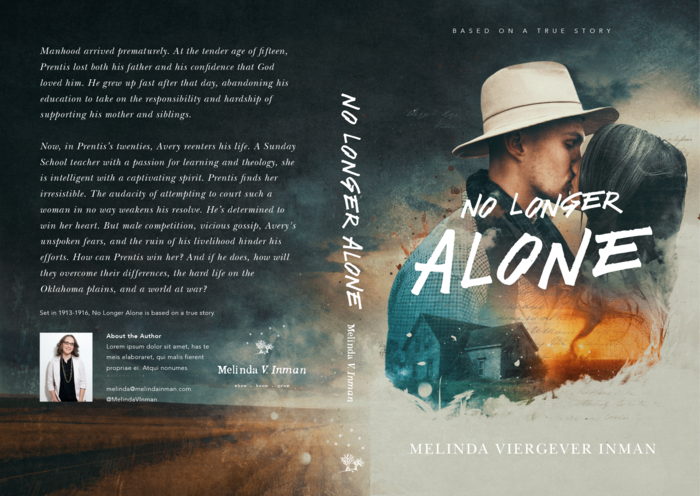 February 10, 2017 by Melinda Viergever Inman, 0 Comments, in #NoLongerAlone, A Novel Journey, God's Calling, How a writer is formed, Why write? This year, thank God, my third novel will be released. This story is near and dear to my heart. Since 2010 I have agonized and labored over it. I’m venturing out of Biblical fiction for this book before I return to finish up my Genesis series. 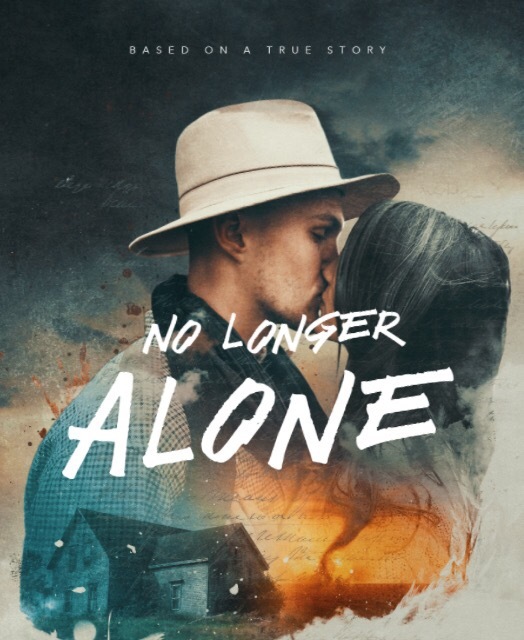 This is the year for No Longer Alone, a historical novel based on the lives of real people and their experiences one hundred years ago. Writing requires research. It always does. For the Biblical series, there were years of research into Genesis, ancient history, angels, and demons. For this novel, research was required into the time period of 1913-1916. Agriculture, transportation, food preparation, advertising, clothing, newspapers, undergarments, race relations, care of livestock, women’s suffrage, construction techniques, one-room schoolhouses, and courtship customs – all had to be investigated. A team of consultants helped me. It’s astounding how much everything has changed in the last one hundred years. Then there’s WWI, which begins as the story gets going. How did this war affect Americans in the early years and as it progressed? What was it like on this side of the world as tragedy unfolded overseas and agricultural demands increased? 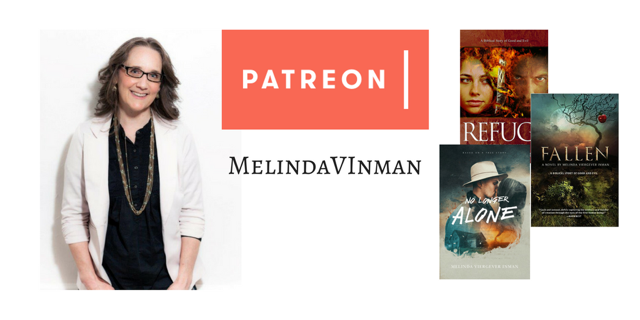 This story is set in northern Oklahoma, the locus of my mother’s family. My great-great-grandparents pioneered there. These are my roots. I lived there as a small child. My parents, my aunts and uncles, and their friends were valuable sources of information, helping to make my story authentic and historically accurate. Also, throughout my childhood and teens, I listened to one of the protagonist’s stories and reflections. Manhood arrived prematurely. At the tender age of fifteen, Prentis lost both his father and his confidence that God loved him. He grew up fast after that day, abandoning his education to take on the responsibility and hardship of supporting his mother and siblings. Now, in Prentis’s twenties, Avery reenters his life. 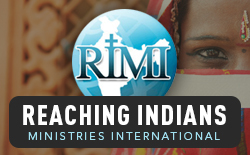 A Sunday School teacher with a passion for learning and theology, she is intelligent with a captivating spirit. Prentis finds her irresistible. The audacity of attempting to court such a woman in no way weakens his resolve. He’s determined to win her heart. But male competition, vicious gossip, Avery’s unspoken fears, and the ruin of his livelihood hinder his efforts. How can Prentis win her? And if he does, how will they overcome their differences, the hard life on the Oklahoma plains, and a world at war? Set in 1913-1916, No Longer Alone is based on a true story. A diverse mix of people congregated on the northern Oklahoma plains. Faith and love were lived out on the prairie. No Longer Alone is their story. This novel got tangled up in the collapse of the Christian publishing industry. My manuscript was held for a year by an agent, and I swung in the breeze awaiting word from on high. Meanwhile, publisher’s fiction lines and entire publishing houses folded and disappeared, and my manuscript languished in their hands. Two years later I moved forward with my Genesis series rather than No Longer Alone because reader demand had altered. I went with an open-market publisher. 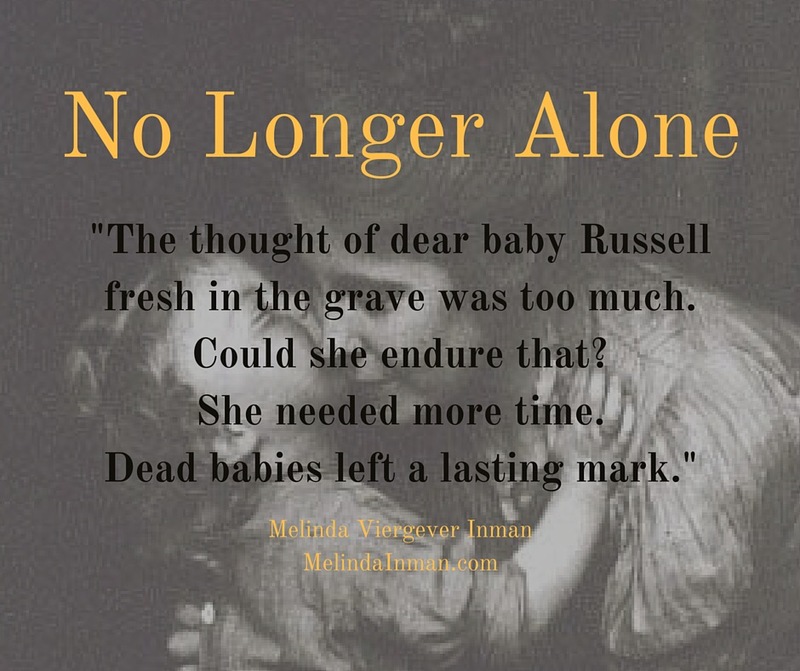 I didn’t look at the No Longer Alone manuscript until three years afterward, because it was too personal, and it broke my heart to consider its journey and its delay. But now, the Lord has brought it about. It is time. The manuscript for No Longer Alone will soon be with my editor. My designers have completed the book cover, and I am rejoicing. I’m thrilled to offer a change of pace this year, a western romance during a time of war and uncertainty, much like our own times. 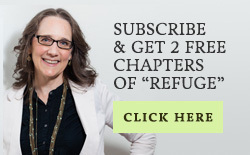 Subscribe to my blog (top right corner, the green arrow) to keep abreast. I blog weekly. Or sign-up here for only the updates about the release of this novel in hardback, paperback, and ebook. I never spam.